Welcome members! Here is where you will start off! 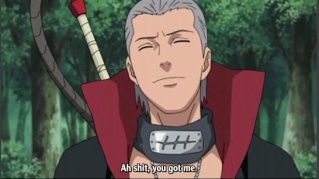 We aint gonna do what the villages do and start you off as a Genin and then take the Chunin exam...Nah. You're just going to show us what you can do and Cooky and I will decide what group to place you in. Here's how the ranking will go. Since I'm more of the ninja of the two...you're going to fight me. *grins* And don't think that just cause I'm Saikoukage...and I care for you guys that I'm going to go easy on you...Nope. Give it all you've got. ...And now she's a cheerleader. ...What a way to start off a...ranking system.